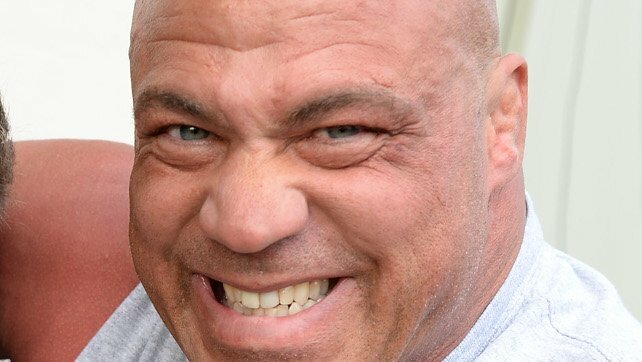 Who Will Face Kurt Angle In His Retirement Match At WrestleMania 35? Kurt Angle officially announced on 11th March 2019 that WrestleMania 35 is to be his farewell match. It was good that he made the announcement in his hometown of Pittsburgh, Pennsylvania, where he was able to wrestle one last time on RAW, facing none other than Apollo Crews. He was victorious in his final RAW match, which begs the question – who will face Kurt Angle in his last-ever WWE match? It’s sad to see that The Olympic Gold Medalist will be calling it quits, but at the same time, it’s not something that exactly comes as a surprise. In fact, many fans wondered why Angle didn’t call it quits years ago, especially given the damage that his body has taken over the last 19 years or so. The good part is that Angle gets to go out on his own terms, and won’t be neglected while quietly retiring. There comes a time for everyone to ride off into the sunset, and at this juncture, it seems that Angle himself knows that his time is up. This begs the question – who will be his final opponent at WrestleMania? We reveal the five best options.